And nor should they in this case! Although the author of the above volume is a Torquemada he is, in fact, Juan de Torquemada, uncle to Grand Inquisitor Tomas de Torquemada. What makes this item interesting then? 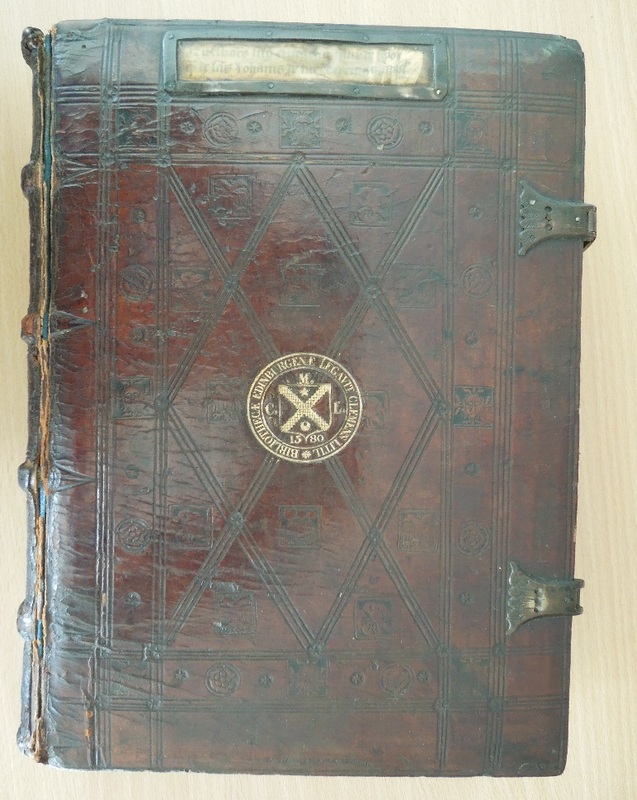 Well it’s not often the complete provenance of a book is known, especially one dating from 1485, however Questiones evangeliorum tam de tempore quam de sanctis from the Clement Litill collection is one such item. It was first owned by William Scheves, second Archbishop of St Andrews from 1478 until his death in 1497. He gifted it to the friary library of the Domincans of Edinburgh. It was likely there that the horn title label, on the front of the book was added. This label strongly suggests that the book was held in a lectern library where the book would have been stored on a long, sloped reading desk with the cover upper most. After the looting of the friaries of Edinburgh in 1559 it found its way into the hands of Clement Litill. His reputation as a collector would have seen the looters making a profit from their salvage of the libraries. From there it went to the Kirk and Town Council of Edinburgh in 1580 along with the 275 other volumes that Litill bequeathed. This collection formed the first library of the University of Edinburgh, where it has been held ever since. All this means that since the book was gifted to the Dominicans it has not moved more than a mile for almost five centuries! This entry was posted in 15th Century and tagged Clement Litill, rare books, special collections by fwest. Bookmark the permalink.